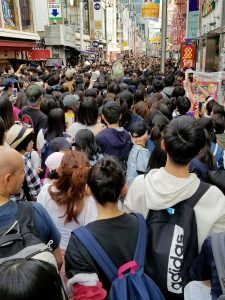 If you would have asked me five years ago the main reasons why Japan was on my top 5 places to visit list, it would have been very different than it was before our trip in April. Five years ago, my main goal for visiting Japan was to stuff myself silly with sushi, Kobe beef, deep fried street food, and sake. In the land of some of the best chefs in the world, with the freshest fish, the most flavorful meats and a revered respect for noodles, Japan, in my eyes was always going to be the culinary jackpot. But since changing my diet in 2014 for my health, and then later developing an ethical and environmental backbone, suddenly my gusto for travelling to Japan changed from being completely focused on food to enjoying the incredible beauty and culture of the island nation. 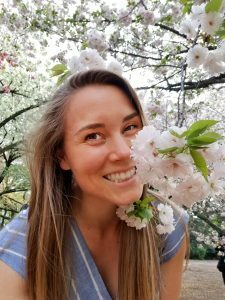 My husband and I along with our best friend Caitlin planned our trip in the Spring during one of the most beautiful seasons, when all the local cherry blossoms were blooming. 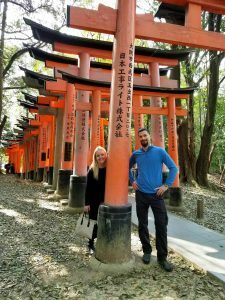 We thought it would be a great backdrop to see the cities, from the modern bustling Tokyo, to the ancient temples of Kyoto and Nara, and a tropical ending in Okinawa. But while my focus was on the learning about the history and enjoying the beautiful architecture and landscape, we still had to eat. 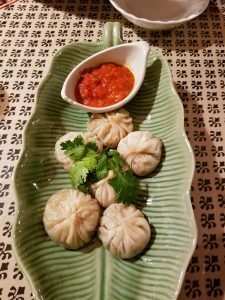 Being vegan in a country whose cuisine is so deeply rooted in animal products is not easy, but it was also not impossible. 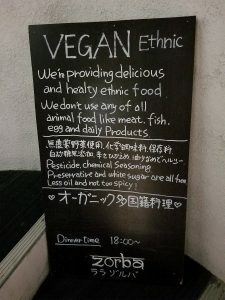 As a whole Veganism is growing, worldwide, even in the land of sushi. 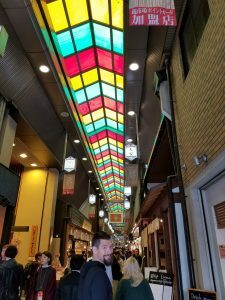 I wanted to share some of the tips that I learned during our travels, some incredible restaurants that we visited, and general guidelines to follow if you want to stay full and satisfied on plants while everyone else around you stuff themselves silly with raw fish and fatty pork. 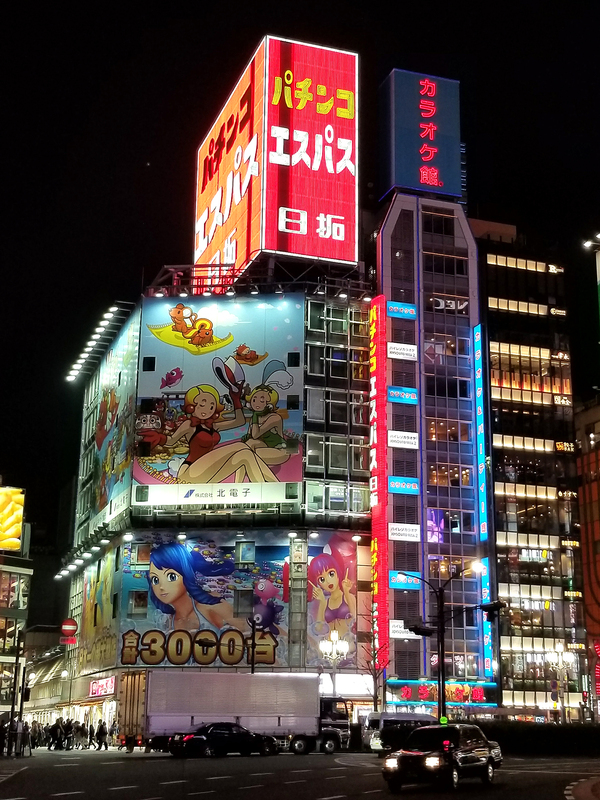 We stayed in the Roppongi area of Tokyo, which we did not find out until later has quite the bustling nightlife. It is filled with lots of very expensive restaurants to cater to the wealthy Japanese business district party goers. Our first night we found a local ramen chain called AFURI which had incredible reviews on yelp. 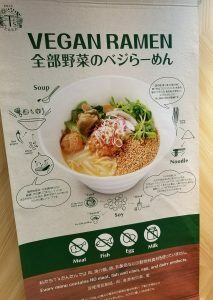 Right at the entrance was a big poster boasting their “Completely Vegan” ramen bowl. It was delicious, but I realized quickly that I should always order extra noodles if I wanted to stay full until our next meal. It was packed with fresh vegetables, had a lovely broth but not as rich as you would expect from traditional ramen. For our first night in Tokyo. It hit the spot before passing out on our tiny beds that were one inch smaller than our rooms…welcome to Japan. 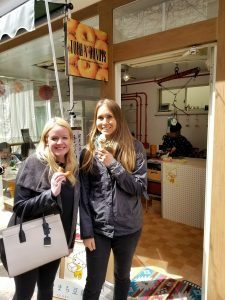 When exploring markets throughout Tokyo you will get your fill of fresh sushi stalls, deep fried street food, noodle huts, and tea gardens. 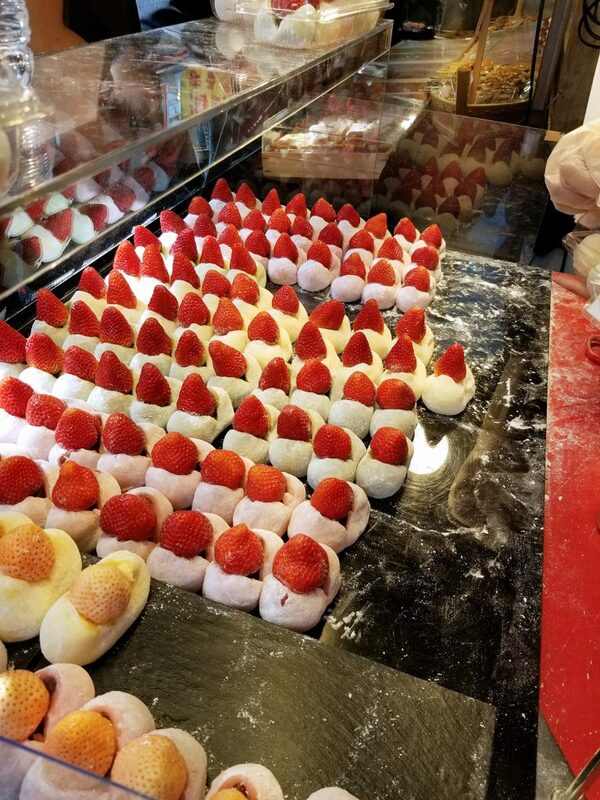 The great thing is that along with all of these foods you will find beautiful displays of fresh and dried fruits, roasted nuts, savory sesame snacks, and Mochi treats. While I did pack enough snacks from home to cover me for the entire trip in case of emergencies see blog post here I did indulge in some of these local treats including the Matcha Mochi. Mochi is a classic Japanese snack made of sweet rice dough with flavors including matcha tea and adzuki beans, and as long as you get the ones that don’t have a cream filling, they are vegan! It is extremely dense, and very filling, which is perfect if you want to have a snack in your bag all day when your energy starts to dip. 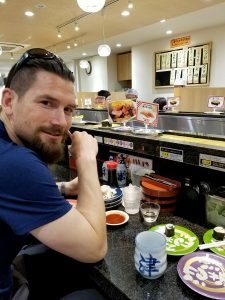 One of my favorite meals in Japan was actually in the train station ( JR Ueno station). 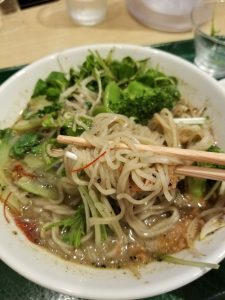 Before the trip I was researching best Vegan restaurants and this one ramen place kept popping up with incredible reviews. 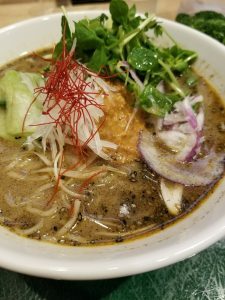 T’s Tantan is a completely vegan ramen focused restaurant that also serves up salads, curries, and gyozas. 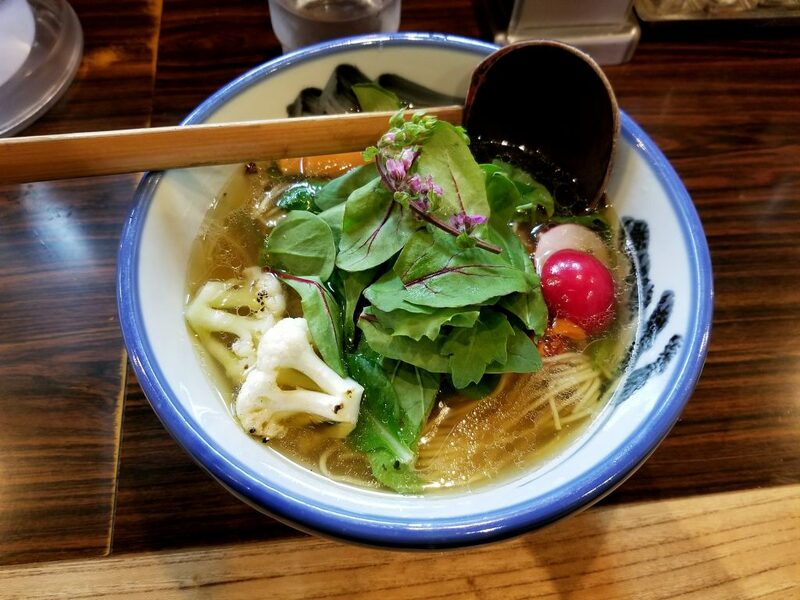 Unlike other ramen places who try to “make a vegan option” with overly salty vegetable broth this place found a way to utilize local ingredients to create a new flavors and textures of ramen without being overly salted broth. I had the black sesame ramen, which had an absolutely delicious savory broth that was made creamy by the roasted black sesame paste and fresh chilies. I ordered double noodles, knowing that this would be my main meal of the day and oh was it worth it. We also got a side of their delicious gyoza, which were surprisingly crispy and not greasy. The only downside about this place is that you have to be traveling on the train to get access to the platform restaurants where it is, but if you are travelling in Japan…you are taking the train EVERYWHERE, so take the few extra minutes to find this gem and enjoy the most delicious cruelty free ramen ever. Just because you are vegan does not mean you only have to eat at vegan restaurants. Finding vegan options at restaurants tends to be my specialty. 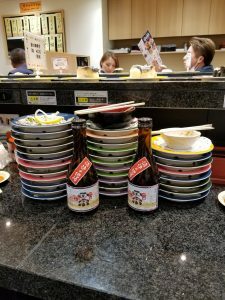 When in Japan, especially when you are with other people who do eat fish I highly recommend conveyor belt sushi. Not only is it a fun experience, but the options are plentiful. You can look to see what the belt has to offer, or you can order from the menu and they will bring you your orders. 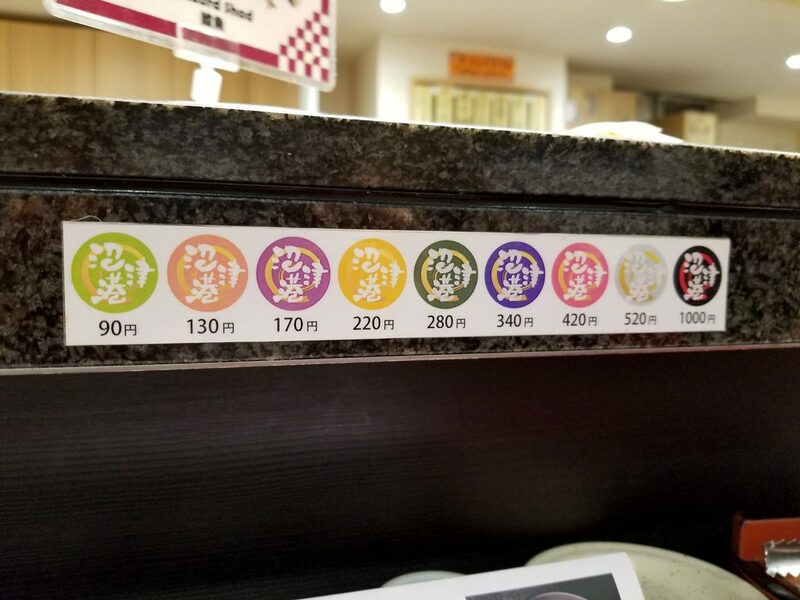 Each plate typically has 2 pieces of sushi on it, and each plate is a different color depending on the price. At the end of your meal they tally up your bill based on the colors of your plates and you get to see the remains from the mountain of food you just finished. 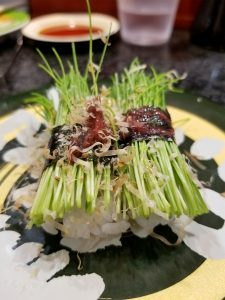 This particular restaurant had a wonderful selection of plant-based options ranging from your basic cucumber rolls, to fresh green onion sprouts and ume plum sauce rolls. On some of them you had to ask for no Bonita (which is a dried fish flake) but they were very accommodating. 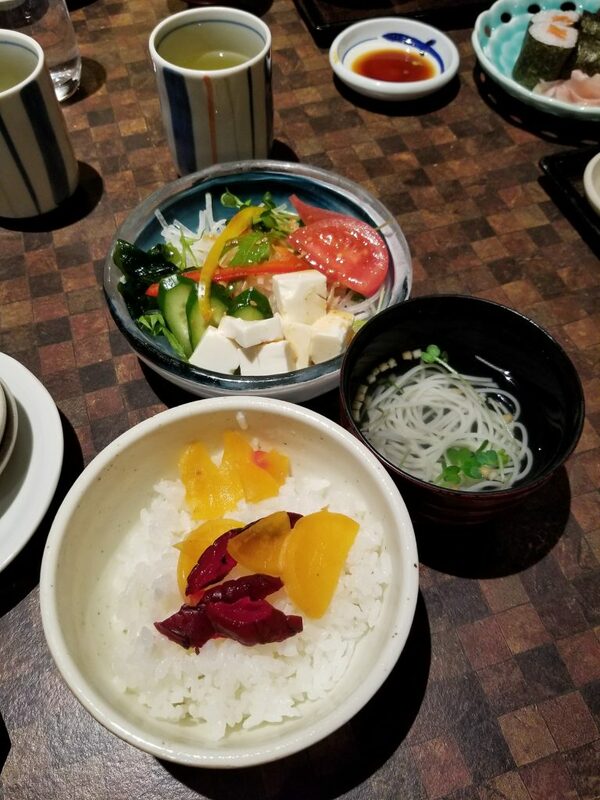 They also had a wonderful selection of tofu dishes, fresh fruit, and delicious miso soup. The best part, is that the vegetable-based plates were always the cheapest so you don’t have to feel bad about piling on the plates! The color of the plate coordinated with the price. When you order all veggies you get more for less! 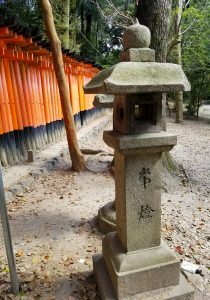 While Tokyo is bustling with bright lights, nightlife, and futuristic technology, Kyoto is like stepping back into the “ancient” Japan. 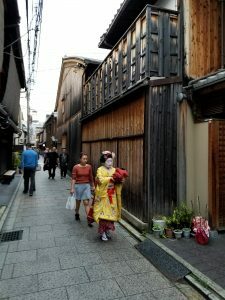 In the backdrop of the beautiful countryside Kyoto boasts temples, open markets and gardens at every corner. Just walking around this place gives you a feeling that this city is steeped in tradition. You also get that vibe with the food, moving more inland we found less “international” Japanese food and more noodles, hand crafted pickles, fresh creamy tofu, and produce grown from local farmers. 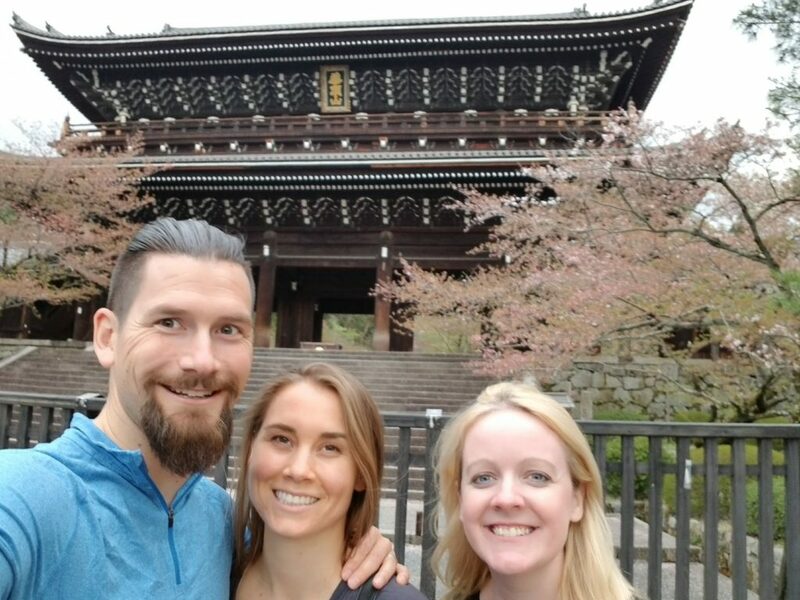 Our first day in Kyoto was very busy with lots of walking, exploring just a few of the 1600 temples that adorn this beautiful city. We were pretty exhausted by the time attractions started to close around 5:30 so we wondered for a place to sit and relax. Unfortunately, most of the restaurants in Kyoto don’t open until at least 7:30, especially in the higher end districts like Ginza. Getting hangry and tired we eventually caved in and found a British Pub so we could finally sit down and at least have a drink. I don’t normally like going to places that I can go to back in the states, but sometime you just need a beer and three baskets of mixed nuts to tie you over. After loosing hope in finding a restaurant (without reservations) in the Ginza district we decided to head back to the train station near our Air BnB. In Japan train stations are actually a wonderful place to find good quality restaurants. We ended up eating at the train station a few times due to our schedule and it was delicious. The first night we went to a traditional Unagi Donburi restaurant, as eel is one of my husband’s favorite dishes. Although a first glance at the menu seemed very limited to Vegans, if you dig deep you can find delicious healthy food. While everyone else got their freshwater eel; I got a dinner of filling sides including rice with pickled vegetables, a sesame dressed vegetable salad with fresh tofu, and a delicious water lily noodle soup. Having such simple food was so satisfying, because it was one of the few meals that reminded me of how I eat at home. Definitely a nice break from the heavily salt and oil-laden food we had been enjoying. The following day while exploring the open markets we came across this great fast casual udon restaurant that hit the spot for something fast and filling. It was the Chipotle of Japanese udon noodles. 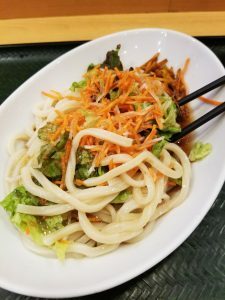 You chose a base size of FRESHLY MADE udon that they dropped into the hot water right as you order, then you decide whether you want it as a soup, salad, or plain with a different variety of sauces and vegetables. After you get your noodles you can choose from a variety of freshly fried tempura vegetables and meat to top of your bowl. It was FAST, FRESH, and CHEAP. I ended up getting a “salad” with a ginger chili dressing which was quite refreshing. 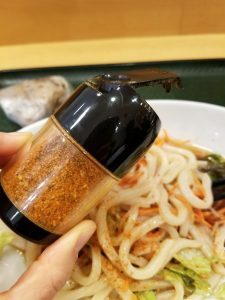 I topped my fresh Udon with togarashi which is a Japanese chili spice blend that normally consists of crushed chilies, sesame seeds, black pepper and dried orange peel. The noodles were perfectly cooked, chewy and filling for a quick lunch. This particular udon chain is called Sanuki Udon Hanamaru. One of my favorite parts about the food in Japan is there love of preserving and fermenting foods. I don’t know why but I have always loved anything in vinegar and salt, and Japan shares my love. They have entire stalls and stores dedicated to the art of fermented vegetables, cured meats, pickled vegetables, etc. 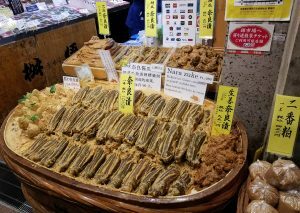 Some of the sights you see in these markets may make you a little uneasy because it is not the most appetizing this in the world, but man does it taste delicious! My particular favorite are pickles plums, radishes, and cabbage. They give a wonderful flavor and crunch to any meal. 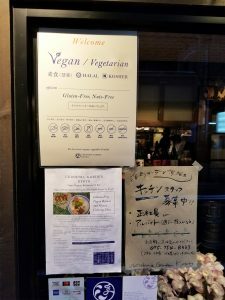 While we were resting our feet and enjoying some Sake at a local bar, the fact that I was vegan came up in conversation. 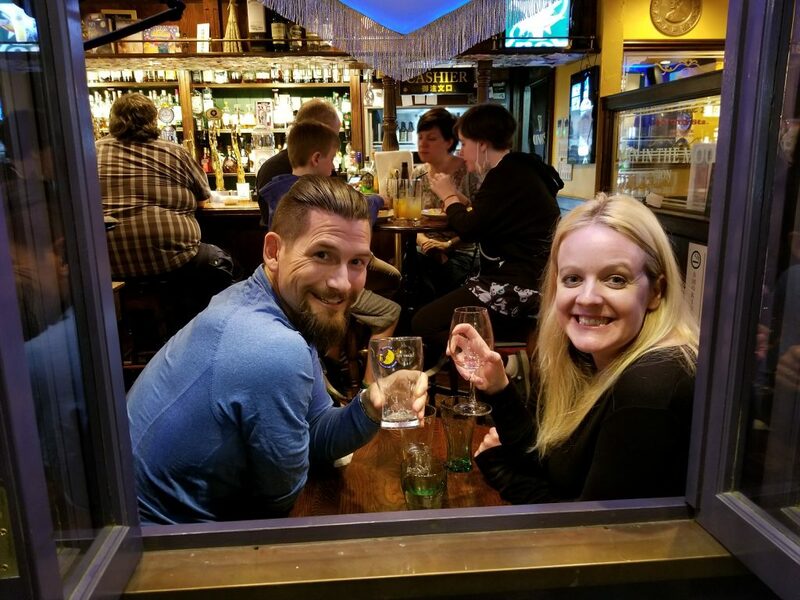 Our super friendly bar tender immediately got on her phone and started looking for the address of this great local restaurant that some of her regulars could not stop talking about. Since we had not made dinner plans we were excited that there was a completely plant based restaurant where I could order anything I wanted, rather than just sides. This beautiful restaurant was called Ukishima Garden Kyoto. This was a more upscale restaurant where the focus was in the details, down to the perfectly placed micro-herb. All of their produce is organic and locally grown in their garden. 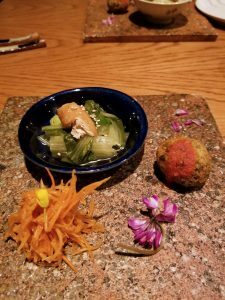 They made all of their “meats” from whole grains and herbs, and pressed their own tofu ( which was the creamiest tofu I have ever had). We decided to get the coursed meal to get a variety of the menu they had to offer. We tend not to eat at places like this too often because although they are delicious, we eat way too much volume in our day to day lives to pretend we are classy enough to eat a perfect “portion of rice.” But despite the posh portions, the food was absolutely delicious, the atmosphere was warming, and I would highly recommend it to any Vegans looking for the fine dining zen experience in Kyoto. We made a very quick trip to the city of Nara before leaving mainland Japan. 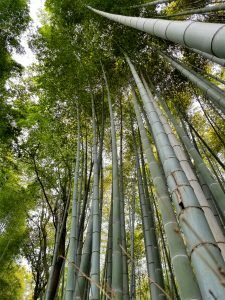 Nara, like Kyoto is filled with beautiful temples and landscapes. It is most famous for its deer park, which is exactly as it sounds. A large expansive park filled with deer. 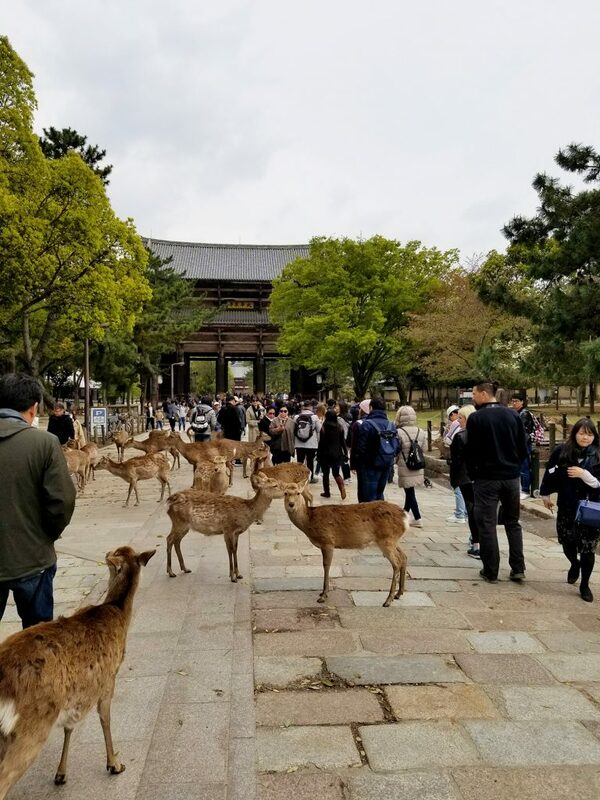 The deer have become so used to people being around that they actually follow, beg, and bite hoping to get some food from you. But outside of the beautiful deer park were a few places that I thought were worth noting. While exploring the main covered market, we discovered one of many Tofu shops, which, obviously, specializes in soy, and all of the wonderful and creative things you can make from it. 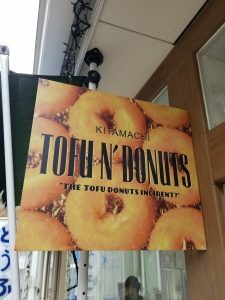 Along with fresh tofu, tempeh, miso, and savory preparations, they had fresh Vegan tofu donuts, and fresh soymilk softserve! Both were delicious but the soft serve was outstanding, not too sweet, ultra creamy, with a very distinct soybean flavor that was clean and refreshing. If you are ever in Nara at the Higashimuki shopping street I highly recommend this tiny shop Kitimachi Tofu if you need something sweet! 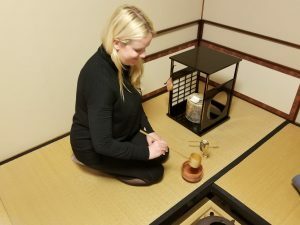 I also highly recommend experiencing a traditional tea ceremony while in Japan. We found a great local ceremony master in Nara who showed us the ropes to how to properly drink a cup of Matcha. It is a meditative experience that makes you stop and appreciate all of the little things in life. And when you get the choice to have usucha (“thin tea”) or koicha (“thick tea”) unless you are a tea connoisseur I recommend getting usucha. 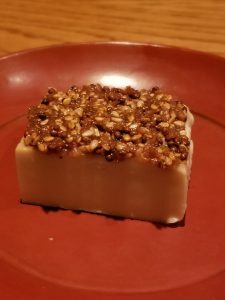 We got koicha, intrigued how tea could be thick, and the amount of grassy earthiness in that small amount of what felt like green pudding didn’t leave our mouths for a few hours. Just get the thin tea, trust me. Click here to see the company we used for our tea ceremony! 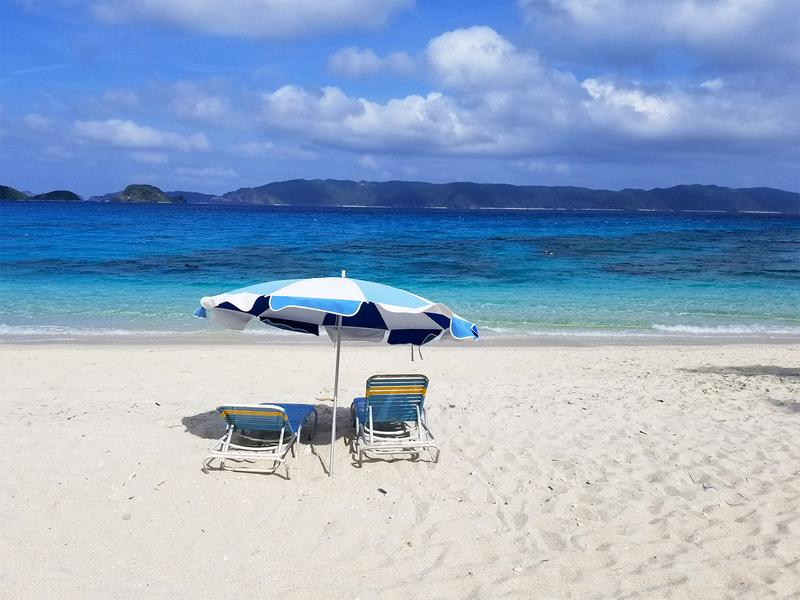 Ever since I read the Blue Zones by Dan Buettner I have been intrigued at visiting the island of Okinawa. 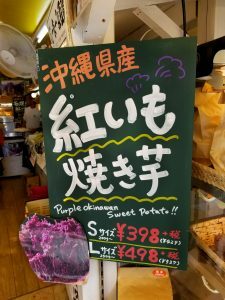 I always imagined it as this tropical paradise where the Japanese people are steeped in their traditional ways which includes a diet of predominantly plant foods with 85 percent of their diet coming from the purple sweet potato! 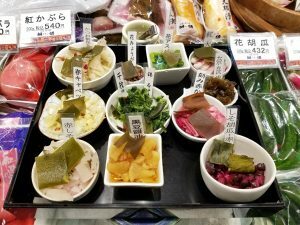 This traditional diet based on starches, vegetables some fruits and a tiny amount of meat( for holidays) was a major factor in the Okinawan people becoming some of the longest lived people on earth. For a whole foods plant based vegan, I was the most excited to visit what I thought would be food heaven. But it was not as I imagined. While the blue zones covers traditional diets of the local people, as an island it has changed drastically. Based on my research, ever since world war II when the Americans established their naval base in Okinawa the diet has taken a turn for the worst. 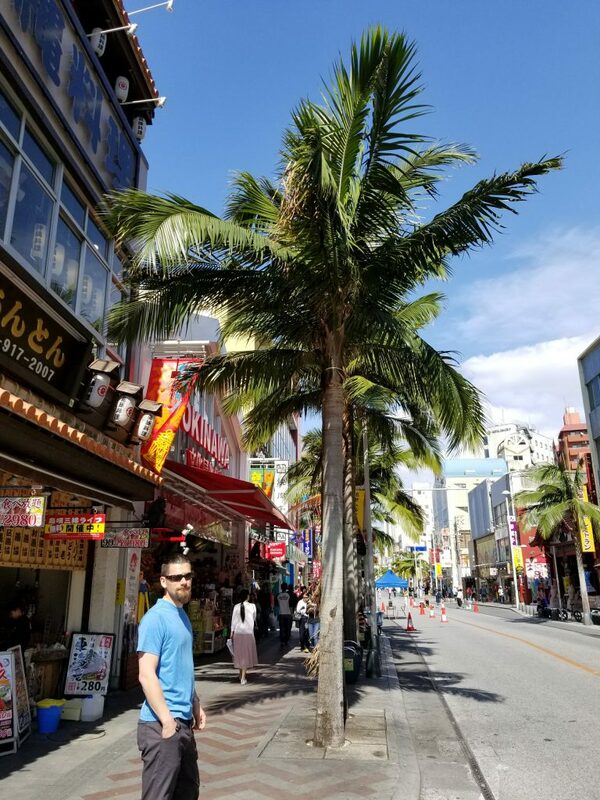 When we landed in Naha (capital of the Okinawa prefecture) it felt more like landing in Honolulu than Japan. The American military presence is so strong that the rest of western culture came with it. McDonalds, KFC, Burger King, Pizza Huts, and so many other fast food restaurants lined the streets. Along with mega touristy stores, filled with knick knacks and souvenirs. 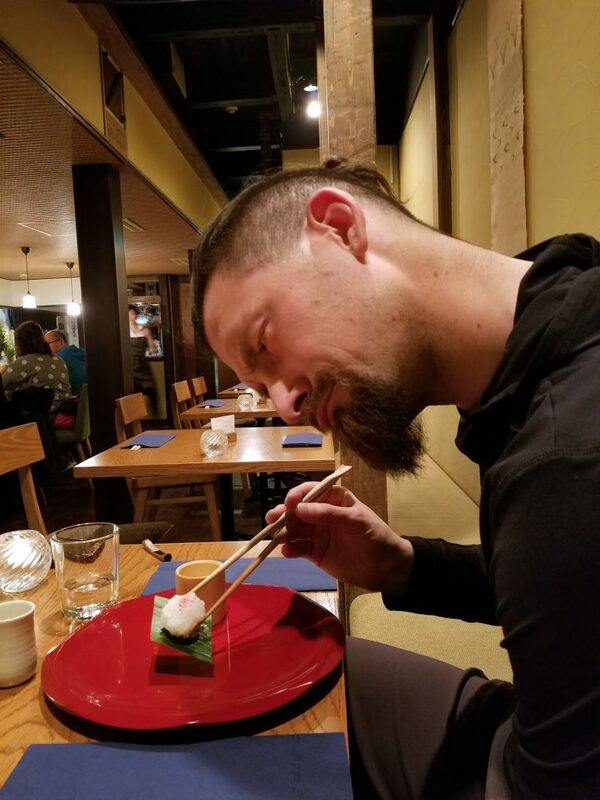 Even the Japanese food was not what we had been witnessed in Japan, but more like the type of Japanese food we would experience back in the states. 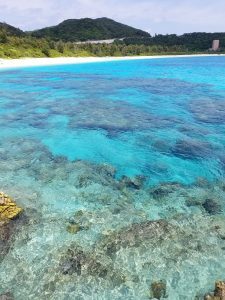 Now, this is just Naha, unfortunately we did not get to explore all parts of the island where i’m sure the traditional Okinawan culture is more present. If we ever get a chance to return we will do so with a local. Now that being said, even though the streets are filled with tourist driven shops and restaurants we did find some great vegan food. Although it was not solely Japanese we did find a beautiful little Restaurant called LaLa Zorbas, a unique mixture of Tibetan Asian fusion. We were the only ones in the restaurant and it was one woman running the show. Everything was made from scratch, and everything was incredibly well spiced, seasoned, and texturally pleasant. 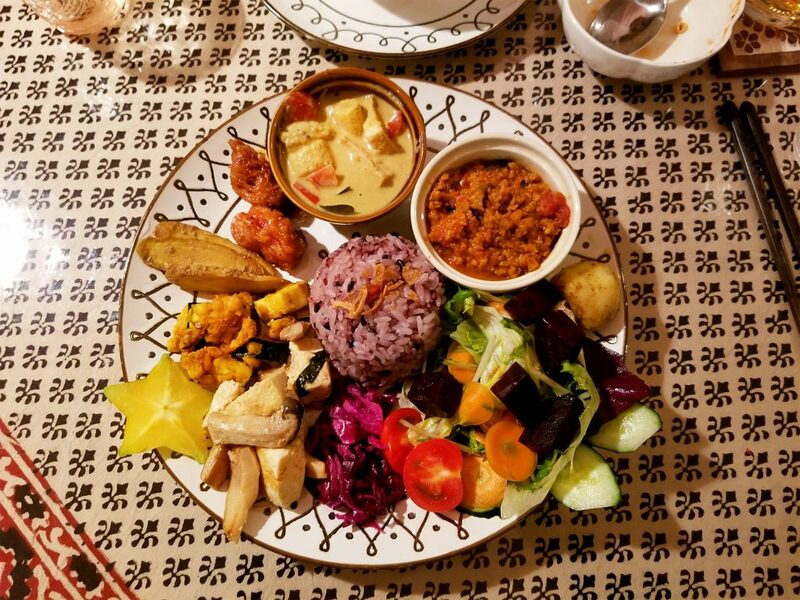 We got an assortment of dishes including spiced tomato dumplings, lemongrass tofu, sticky purple rice, lentil curry, spicy chick’n tenders, and the most refreshing coconut milk yogurt parfait with tropical fruit and granola. It was a refreshing meal towards the end of our noodle and miso heavy Japanese vacation. Our very last day in the southern islands we took a ferry to the Kerema Islands to take in all of the sun, sand, and gorgeous crystal blue waters. The day before we went to the market to load up on food to bring to the island. We got waters, pineapple and mango juice, omnigiri rice cakes, fresh oranges, and we were lucky enough to find a Okinawan sweet potato stand! They had cooked potatoes for sale, similar to the kind of stand you would get movie popcorn at. So we were ready for our tropical beach day, which purple potatoes and fruit at the ready. 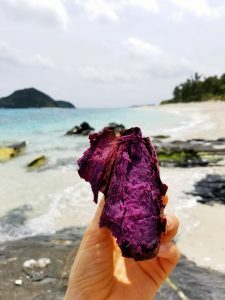 So even though I did not get to experience the Okinawa I read about in the Blue Zones, once I had my sweet potato in hand it was easy to imagine how life on this incredibly beautiful island use to be. Noodles: Udon (Wheat noodles), and Soba (Buckwheat noodles) are always vegan. Standard Ramen noodles normally contain eggs, so make sure they are specifically vegan. When ordering vegan ramen, order extra noodles, if you have a big appetite like me, you want to make sure you a full. Bring snacks from home, and buy snacks whenever you get the chance, you never know when you are going to have your next full meal and will most likely we walking and hiking A LOT! Take advantage of convenience stores (like 7-Eleven) in Japan these are a trove for drinks and starchy onigiri rice balls. Which are perfect filling snacks which are normally just sticky rice, soy sauce and seasoning. 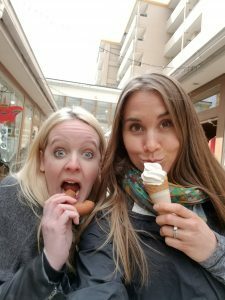 Don’t be afraid of eating in train stations! You will be surprised at the amazing quality of food you can get at these state of the art stations, millions of people come through them everyday, take advantage of the hospitality powerhouse. 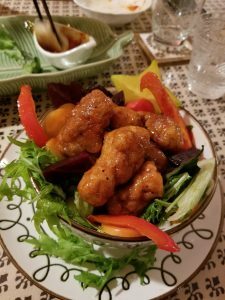 Look for vegan options at non-vegan restaurants. In Japan you can almost always get some sort of noodles, rice, vegetables, soup, or salad without animal products. Use Happy Cow! Download the Happy Cow app to your phone for easy and convenient options for Vegan, Vegetarian, and Veg-option restaurants and stores internationally, it’s free! Unless your hotel offers breakfast, traditional “breakfast” restaurant do not open until 10:30-11:00am. So if you want to get an early start to your day I recommend getting food from the market or store the day before to have something quick and simple in your hotel room or Air BnB…like bread/peanut butter/jam, fruit, tea, fruit juice, or instant miso soup & rice. Don’t feel bad trying cuisines other that Japanese food, trust me you WILL want a break at some point, give your palate room to cleanse! Stay full, so you can take in all of the incredible sights, smells, sounds, and culture this incredible country has to offer! A good substitute for eggs use in cake..
Can you have seeds? If so you can always make a flax egg, which is made from ground flax seeds and water. I believe the ratio is 1 Tbsp of ground flax seed to 3 Tbsp of water (for 1 egg). Combine and let sit for 5 minutes until it starts to “gel” then add it to your recipe. If you can’t have seeds either their is a product called Egg Replacer by the company Enery-G and Bob’s Red Mill. Hope this helps!